On Wednesday 25th May Year 6 children were invited to Barnes Wallis to take part in a Star Visit. 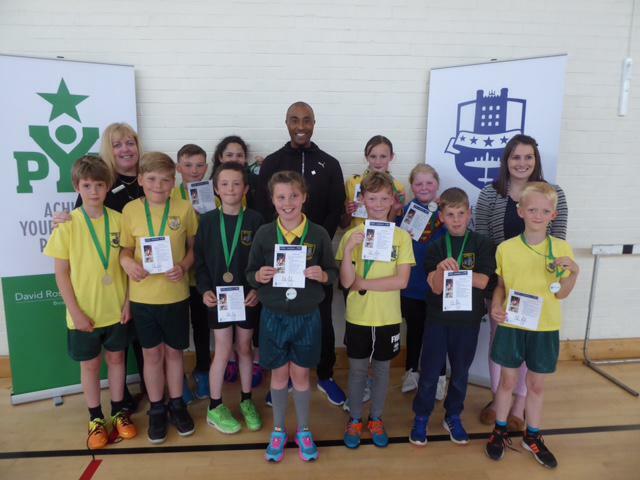 They had a master class from Colin Jackson who coached them in sprinting and spoke to them about sportsmanship. The children were inspired by Colin Jackson and were delighted to win the Athletics competition.